More Than Mowers offers a good selection of discounted electric lawnmowers. We supply all the leading electric lawnmower brands including ATCO, Allett, Hayter, Cobra and Al-Ko. Choose an electric rotary mower with roller if you require a striped finish to your lawn. We also stock a good selection of four-wheel electric rotary lawnmowers for the small /medium sized garden. For quick hassle-free mowing consider an electric hover lawnmower. Whatever your needs and budget we can offer advice over the phone. Call in to our showroom in Melksham, Wiltshire or order online – we offer Free Delivery to the UK mainland. 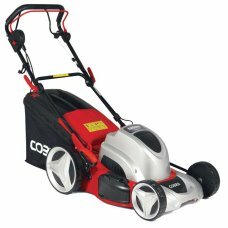 The Cobra 13" (34cm) cut electric lawnmower is ideally suited to the smaller garden. With 4 large wh..
38cm mowing width4 cutting height settings43 litre grass collectorThe AL-KO 3.8E Classic electric la.. 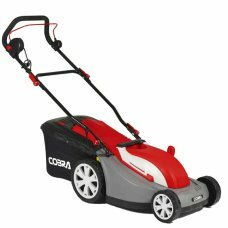 The Cobra 15" (38cm) cut electric lawnmower is ideally suited to the medium size garden. With 4 larg.. The Cobra 16" (40cm) cut electric lawnmower is ideally suited to small to medium size gardens. With .. The Cobra 17" (43cm) cut electric lawnmower is ideally suited to larger size gardens. With 4 large w..
2 in 1 function: mowing and collectingCompact and agile, perfect for small lawnsCutting height adjus..
40cm/16in cutting heightHeight adjustable handlebar 3-in-1 function6 cutting height settingQuiet, po..
Lightweight mower with a 36cm cutting width - perfect for small gardensPowered by a 1400w electric i.. 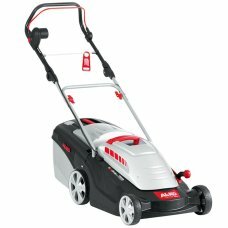 Powerful electric mower with a 41cm cutting width - perfect for small gardensPowered by a 1500w elec.. The Allett Classic 12E Plus push mower provides a 12in (305mm) cut produced by a five-bladed cutting..